Mosquitoes – whether they’re buzzing around making sleep difficult or turning camping trips into living nightmares, these little insects are much maligned across the globe (for very good reason). While most of us endure purely irritating encounters with mozzies (ie. getting bitten followed by incessant scratching), we know that these tiny insects can pose a massive threat to public health. In northern Australia there’s one particular mosquito species that is more problematic than others – Aedes aegypti. The female of this species has been responsible for the outbreak of exotic diseases like dengue. Globally, she’s responsible for the recent spread of the Zika virus with the number of reported cases rising dramatically in 2016. And with no available vaccines or treatments, the problem of mozzies spreading diseases now requires a global solution. Researchers and scientists across the world are responding to this increasing threat. Today we’re announcing that our team of researchers will be working with global life sciences organisation Verily (a Google affiliate) through its Debug Project. The aim of the project is to look at innovative ways to control mosquitoes to combat the spread of disease. We’ve been studying insects that carry and transmit diseases for many years, and mosquitoes are no exception. Together with Verily, we’re hoping to develop Sterile Insect Technique (SIT) for mosquito control, which we hope will ultimately help reduce populations of Aedes aegypti in urban landscapes. Before that, however, it’s important to ‘know thy enemy’. Male mosquitoes are fed a red dye for the MRR study. Building on work we commenced in Innisfail, Far North Queensland in 2015, and pending support from the local community, we will continue to investigate the virus transmitting Aedes aegypti. 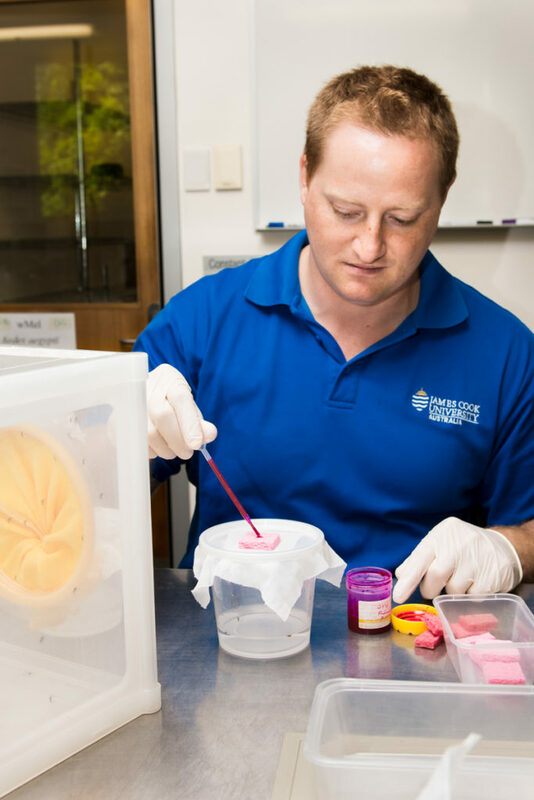 The next step in our study will see our scientists work with James Cook University in Cairns to take a closer look at the male Aedes aegypti mosquito, investigating their behaviour through what’s known as a mark, release, recapture (MRR) study. The mosquitoes will be marked with small amounts of a dye that will let us identify released males when they’re recaptured, and provide valuable information about where the mosquito travels, how far, and when it mates. Why are we only looking at males? Male mosquitoes don’t bite, they feed off nectar, so don’t transmit disease. Our research is focusing on using the male mosquito to reduce or remove urban populations of this disease-carrying mosquito species, so it’s vital that we understand them. I suppose that the team working on the mozzie problem will be talking to the guys in South Africa (tsetse flies in our case) who used this idea when I think I was still at primary school (1970s)? It worked fine, excepting, as I recall, we needed to sterilise so many tsetse flies (caused African Sleeping Sickness) that it was impracticable. No sense in making the same mistakes. Unfortunately I do not remember enough now, but the Internet/journals should be a good place to start…? I checked Wikipedia and there is a little bit there. So they release the oxitec GMO Aedes aegypti with government approval in 2010, in NT, Queensland and WA, and now you are telling us you cant kill it, or get rid of it? 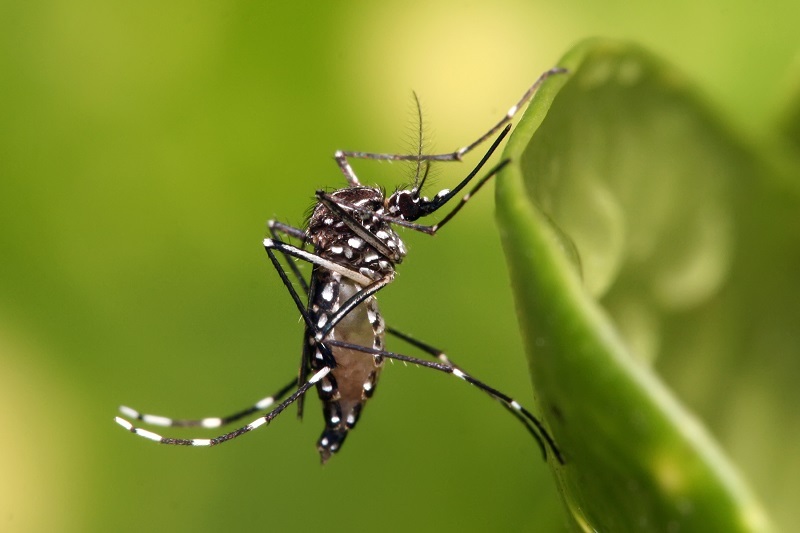 “The mosquito we are targeting – Aedes aegypti, is an invasive species that has been introduced to Australia relatively recently and we don’t expect its removal to have any impact on the natural environment. Our recent studies have found over 30 different species of mosquitos in the Innisfail area. There is no predator that is a specific mosquito feeder. Generalist feeders would include fish and dragonflies and some frogs, along with lizards and birds. Unlike the bee that collects pollen for the colony and so visits many plants the Aedes aegypti only takes nectar for nutrition over the week it exists (some may not feed at all in that time) and are therefore unlikely to pollinate. Using Wolbachia, a bacteria already found in over 60% of all insect species, to sterilise the male mosquitoes means that we expect no effect on the environment. A thorough risk assessment will be carried out as part of the Australian government’s regulatory process. By releasing only male mosquitoes there will be no impact on nuisance biting (as males don’t bite) and we hope an overall reduction in the population of the Aedes aegypti and the subsequent removal of the threat of transmission of diseases like dengue, Zika and chikungunya. I worked in remote Australia last year got bitten by mosquitoes and have been incapacitated ever since. Just been diagnosed with RA from the virus. My life will never be the same! Jenny is referring to rheumatoid arthritis. RA-like symptoms are caused by mosquito-transmitted diseases like chikungunya.